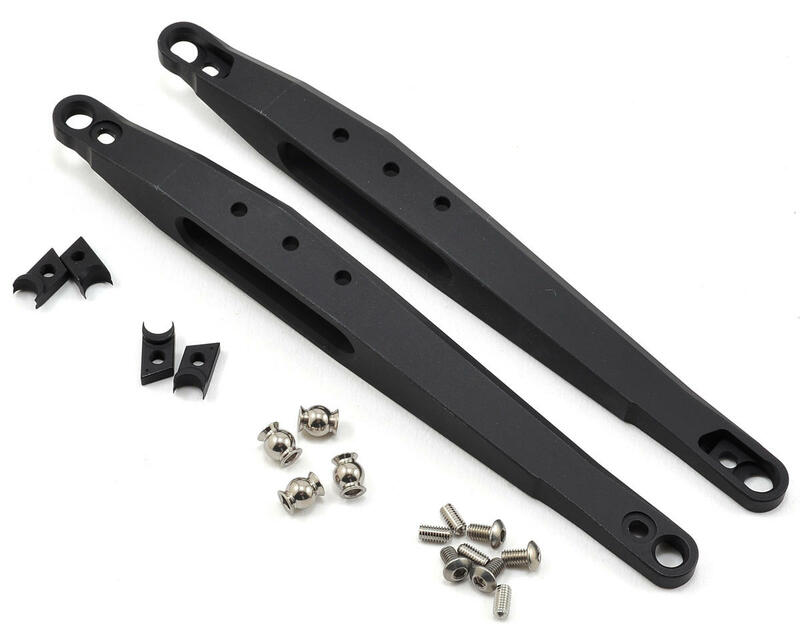 This is a pack of two optional Vanquish Products Yeti Trailing Arms. These arms are made from aluminum alloy material and replace the stock plastic trailing arms to add additional rigidity and better handling in extreme loads. Compatible with Yeti, Yeti SCORE Truck, RR10 Bomber and SMT10 Trucks.